One of the experts brought to Isla Nublar to endorse John Hammond‘s island resort, Jurassic Park. 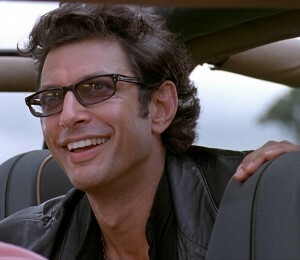 Dr. Ian Malcolm was considered by many of his colleagues to be “too trendy.” A mathematician, apparent ex-hippy, and self-described “Chaotician,” Ian was a firm believer in Chaos Theory. It was his opinion that the systems at Jurassic Park were far too complex to be properly maintained, and were therefore doomed to failure. 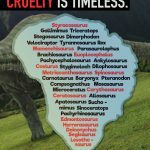 He also felt that Hammond and his scientists were undisciplined and foolish for choosing to bring dinosaurs back to life, and that there was no possible way for them to control the animals. Just to humor Hammond, he went out into the park for the tour. 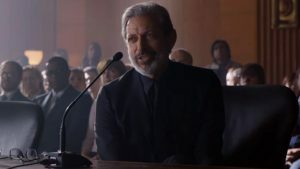 He arrived with the other scientists on Hammond’s helicopter and were taken by gas powered Jeep where he and the others saw first hand the fruits of Hammond’s labor in the form of a fully grown Brachiosaurus. After a discussion in the Visitor’s Center, Ian joined in on the tour. When the power went out and the Tyrannosaurus escaped, Dr. Alan Grant saved them by distracting the T. rex with a flare. Ian tried to help, imitating Dr. Grant’s idea, but when he threw the flare away the Rex kept chasing him and finally sent him flying through the wall of the restroom where Donald Gennaro was hiding. Badly injured, Ian was buried in the rubble. 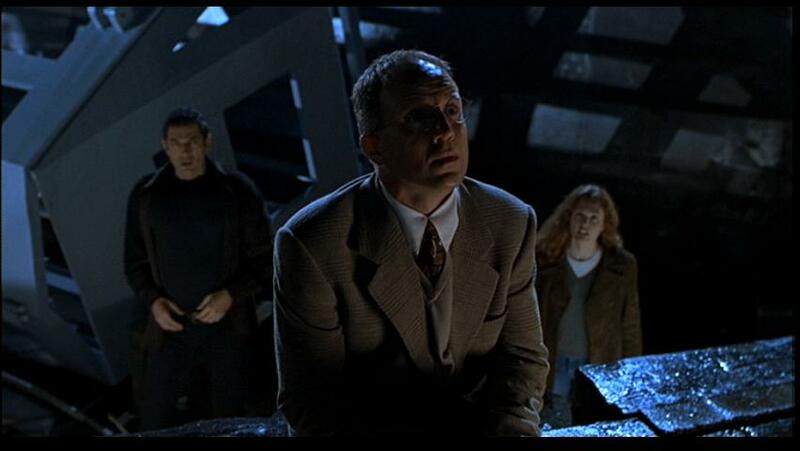 Later, he was rescued by Dr. Ellie Sattler and Robert Muldoon, and the three of them were subsequently attacked by the loose Tyrannosaur, however they were unable to escape unharmed. 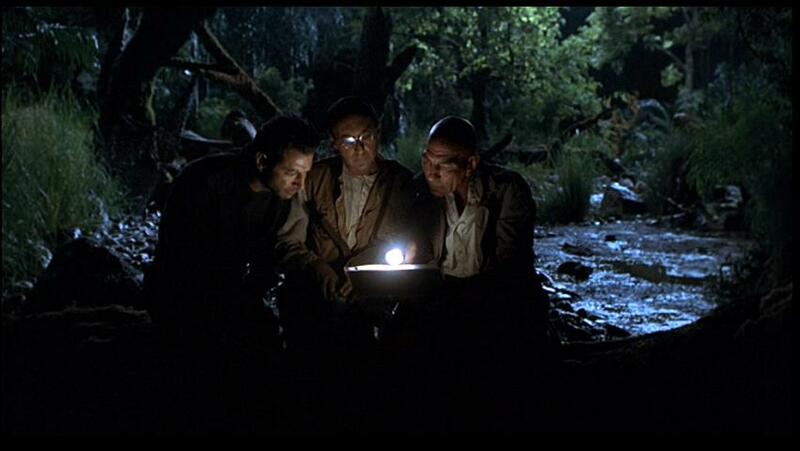 Afterwards, Malcolm was taken to the emergency bunker to recover while the animals were loose on the island. Ian tried to tell the public of the existence of the dinosaurs following the incident, but Hammond’s nephew Peter Ludlow prevented him from doing so, making it seem as if Ian was profiting by selling stories to the media. This utterly destroyed Ian’s career as a scientist, the public reaction being most clearly visible from the tone of bystanders such as the Curious Man (S/F). Four years later, Ian was called in by Hammond to be a part of the team being sent in to Site B on Isla Sorna to document the dinosaurs. He refused, and added he was going to call back the other members and tell them not to go. When he found out his girlfriend Dr. Sarah Harding was already on the island he went to “rescue” her, assembling the other team members Eddie Carr and Nick Van Owen for the Rescue Mission. He admonished his daughter, Kelly Curtis, not to follow him to the Island, although he was unaware of her stowing away aboard the Mobile Lab RV before the group departed. As they arrived on Isla Sorna, Malcolm’s group set up camp on a cliff before they went off to find Sarah in the Jungle. The group followed the GPS tracker to a clearing where they found Sarah’s Lucky Pack, prompting the group to increase their search efforts. They quickly discovered her as she was photographing a herd of Stegosaurus. After she was nearly killed by the Stegosaurus, Malcolm was reprimanded by Sarah, telling him that although she appreciated the gesture of a rescue, it was unnecessary. As they got back to camp, Malcolm was further confronted with the knowledge that his daughter Kelly had snuck onto the Island despite his express wish. As he began to immediately make plans to leave the Island to return his daughter and girlfriend to the mainland, he was immediately interrupted by tharrival of the Ingen Harvesters. As the group watched helplessly from a vantage point, the poachers managed to ensnare several specials of dinosaurs along the Game Trail. As Nick Van Owen and Sarah Harding were sabotaging the Harvester Encampment, they retrieved a Tyrannosaur infant that had been captured and was being used as bait. 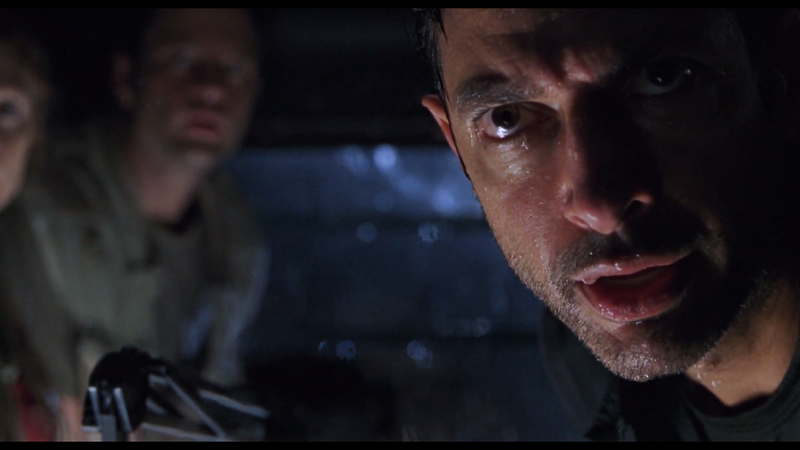 Unaware of this, Ian Malcolm was in the RV trying again to maintain contact with the Mainland. He was surprised and shocked at the fact they had brought the infant back to try to heal it, but was soon preoccupied with accompanying his daughter to the High Hide after she felt unsafe due to the presence of the Infant. Malcolm, Nick and Sarah watching the arrival of the Tyrannosaur pair. No sooner had Ian accompanied his daughter to a safe height in the high hide, did he, Kelly and Eddie witness the adult Tyrannosaurs heading towards the location of the RV. Realizing that Sarah and Nick were in danger, Ian was forced to leave once again, and barely got back into the RV before the arrival of the Tyrannosaur pair. As they promptly surrendered the infant to the parents, they believed themselves to be safe before realizing that the Tyrannosaur parents were returning. As the Tyrannosaurs attacked the trailer, they knocked it partially over the cliff, sending the small group hanging on for their lives. Their lives were saved due to the timely intervention of Eddie Carr, as without the use of the rope that he had tied to a tree, and his subsequent attempts to rescue them, they would not have survived. After the death of Eddie, the Trailer crashed into the cliff below, the three of them managing to hang on for dear life and climb to the tomb of the cliff due to the rope that Eddie had provided. The group was then met by the Harvesters, both groups swiftly realizing they needed to work together if they were to make it off the Island alive. Malcolm accompanied the Harvesters until nightfall, where they set up Camp. Conferring with Roland Tembo and Peter Ludlow, Ian Malcolm was able to determine where the Worker Village was located in respect to their camp. However, before they could mount an organized trek, the camp was attacked by the Male Tyrannosaur, and in the subsequent panic, the female Tyrannosaur chased the group through a tight ravine into a small cave. Ian retrieved his daughter from the cave and they saw no choice but to try to make a break for the Worker Village by crossing through the Long Grass. Upon realizing that they were surrounded by Velociraptors, Ian and his small group immediately ran to the Worker Village, where they were promptly attacked, causing the group to temporarily split up. Ian served as a distraction to allow his daughter and girlfriend to escape, as he tried unsuccessfully to elude the male Velociraptor by running into a gas station, and then later, into a truck. Realizing that his attempts at distraction were only serving to move one of the raptors away, as other raptors turned their attention to the women, Malcolm ran into the Kiln House, not realizing that the animals were already inside of the structure. As he attempted to climb out of danger, the raptor jumped on the catwalk, and prepared to lunge, Malcolm’s life being saved in the nick of time by his daughter performing a gymnastics move to send the animal flying to its death by impalement. As Sarah distracted the animals, Ian and Kelly were able to quickly escape as they made their way to the helipad, and the awaiting Helicopter. Ian and Sarah, aware that Ludlow was going to transport The male Tyrannosaurus to San Diego, attempted to crash into the press conference. They were admitted into the event solely so that Ludlow could gloat, and so they witnessed the crash of the S.S. Venture into the Port of San Diego, destroying much of the docks. As they boarded the ship, Ian quickly realized that the Male Tyrannosaur was awake, but was unable to stop the animal from being released by a careless dock worker. As the Rex rampaged through San Diego, Ian and Sarah persuaded Ludlow to give them the location of where the male T. rex baby was being held to lure it back to the S.S. Venture so that it could be recaptured and returned unharmed to the island. Retrieving the Infant from Jurassic Park San Diego, they were able to follow the commotion caused by the Male Rex to find it, and use the moans of the Infant Rex to lure the animal back to the Venture. Once the Infant was on the Venture, Malcolm and Sarah swam to safety once the Rex was also lured back on boat. After what would later be termed, the San Diego Incident,an exhausted Ian, Sarah, and Kelly watched the television news coverage of the return of the Male Rex on a couch in their apartment. 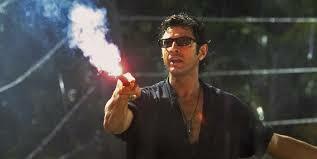 By 2001, Ian Malcolm had written a book about his experiences, which was read by Eric Kirby. He dismissed the book, stating to Alan Grant that he felt that Malcolm discussed Chaos Theory in too much detail, and that the overall tone of his book was preachy. Although Alan Grant did not disagree, he did state that he felt that he and Malcolm agreed on the latter point. Years later, Malcolm was called to testify before a Congressional Committee. However, in this instance, his stance on dinosaurs had changed in the years since the events on Isla Sorna, as he was now in favor of the natural extinction of the dinosaurs via the eruption of Mt. Sibo. Later, after the dinosaurs were freed on the mainland, Malcolm was called to testify again, this time saying that this had caused an irreversible change, a Jurassic World to occur. 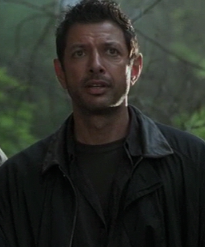 Dr. Ian Malcolm was played by Jeff Goldblum.